2019 A Night Under the Big Top | Glenwood, Inc. Step right up to the BIGGEST event of the year! Once again, we are serving up a whole lot of fun in “A Night Under the Big Top.” For 15 years, Glenwood’s Junior Board has hosted this premiere event and we have plans in store to ensure that this year’s is the best one yet! Guests will be treated to a delicious menu alongside the great drink choices you have come to expect. TOTAL A$$ET$, Birmingham’s Band of Bankers will liven up the dance floor. Our extensive silent auction returns to give you lots of unique opportunities to support Glenwood, while snagging some pretty great items. Back by popular demand, the silent disco returns for the fifth year in a row! You can dance the night away with DJ Mark AD and Silent Storm, high above the city. 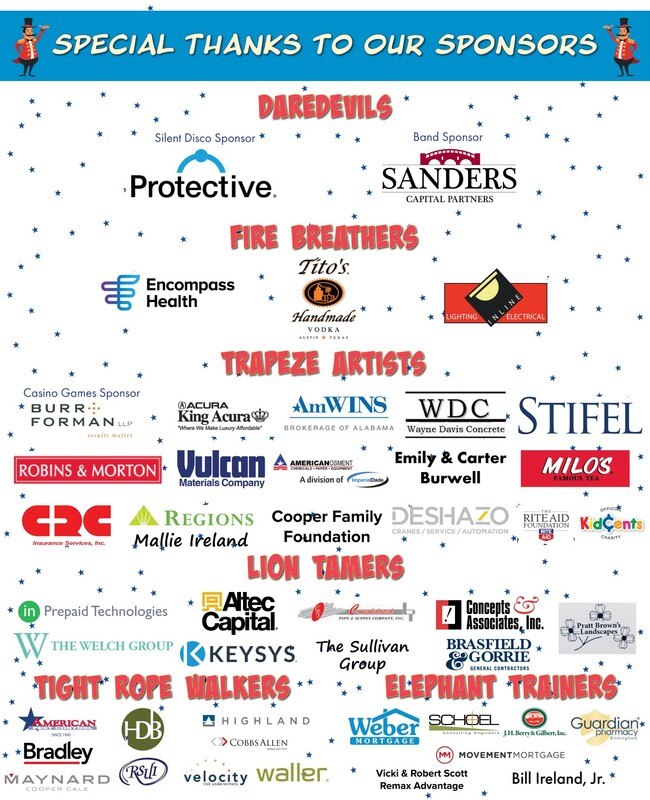 So whatever you do, make sure you don’t miss “A Night Under the Big Top!” And remember, the proceeds raised from this wonderful event will support children and their families impacted by Autism Spectrum Disorder all across Alabama.